After a successful history of fun events, 2016 sees further moped and scooter racing coming to Winchester. This year promises to be bigger with more teams and the potential for more funds to be raised for good causes across the region. Saturday May 14 will be the first date in a three-round championship whereby 60 teams of four riders will have registered to take part. 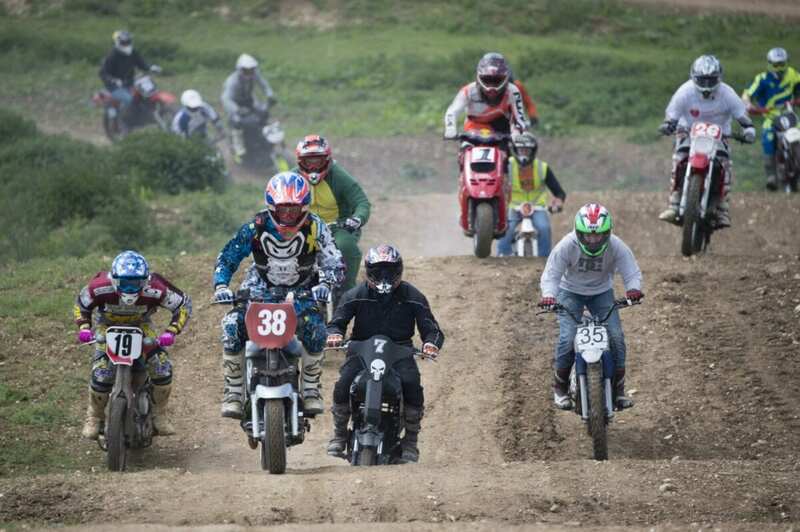 They have all signed-up to enter a gruelling five-hour endurance race around Route 34 Motopark’s motocross track near Winchester on road-going mopeds and scooters. These machines were never designed to take the punishment they will entail and therefore the teams will have to persevere to keep going around the track and complete as many laps as they can. Winning teams will be presented with trophies specially created for the events. As the aim of the event is to at least have some fun, many teams will be dressed up in fancy dress costumes, with past events seeing the likes of Captain America and Superman jostling for podium positions alongside riders dressed as daffodils and even chickens! Past events have seen around £17,000 being handed over to charities and this year promises to see much more. Event organiser, Shaun Isaac, states “Everyone who comes along to enter these events has had great fun. The feedback from them has prompted me to organise more events as they really enjoy the day and they can race alongside their friends. Seeing these little machines, many of which are only 50cc, being battered and kept going is hilarious. It’s wonderful to see so many people having a great day out with so many national and local charities benefitting from their efforts”. The general public are welcome to come along and spectate for free during the event.